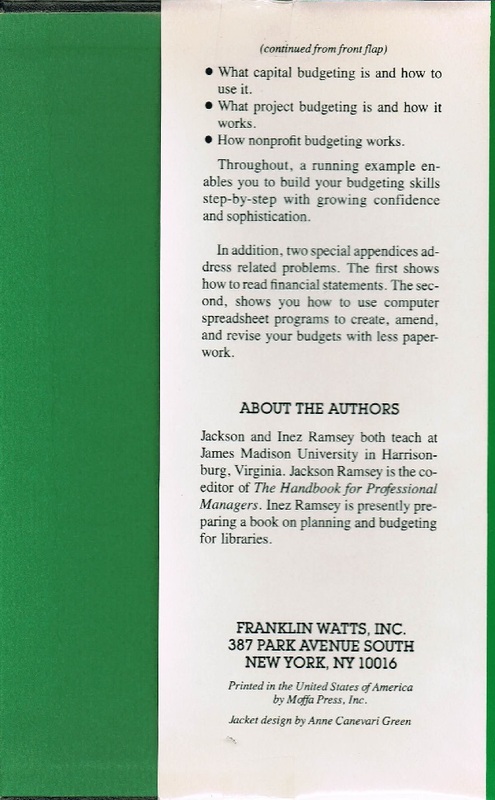 Look at that accounting ledger paper on the cover. Along with the broken pencil and the “how to survive” subtitle, this is super inspiring! 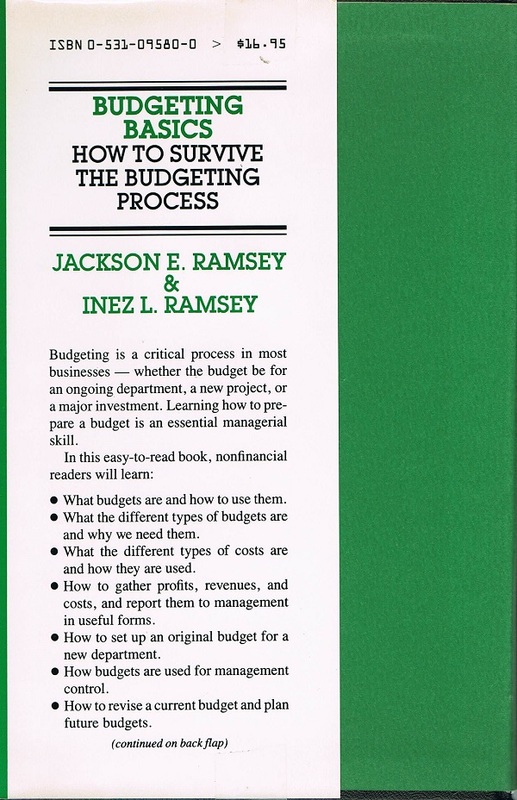 Clearly, from the cover, budgeting is about the most frustrating thing you will ever encounter. 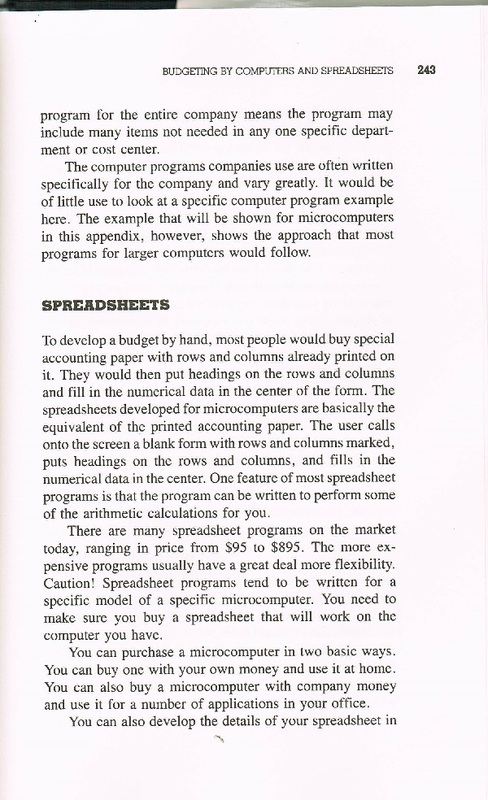 I’ve included a bunch of pages from the chapter on using computers and spreadsheets. 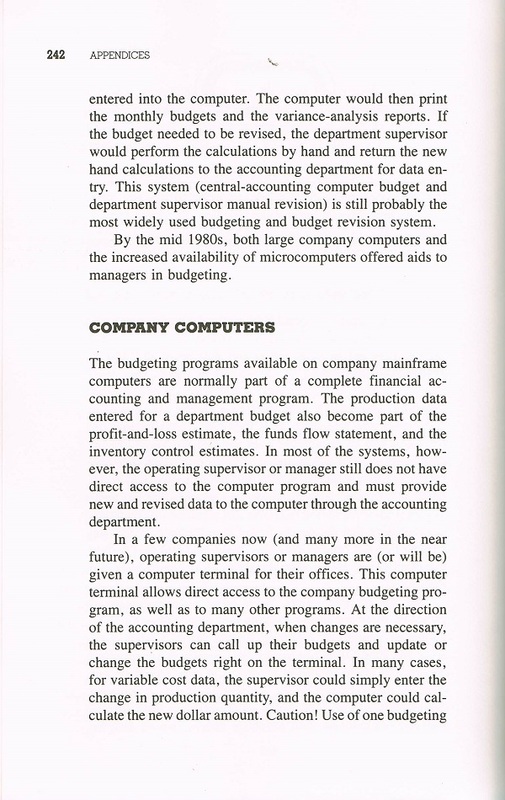 You’ll all want to take notes so that you can more efficiently track your budgets at work like they did in the 80s. 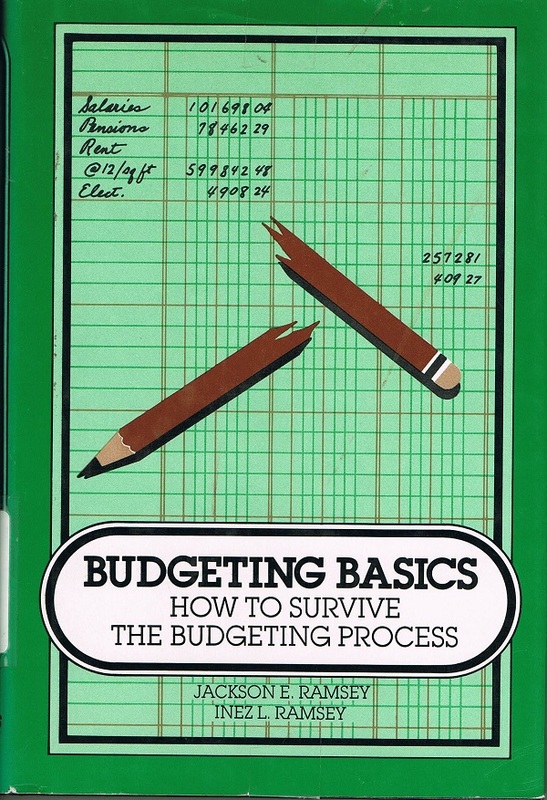 Mary loves both budgeting and spreadsheets to an utterly unhealthy degree, and this book will likely put her right over the edge. Caution! 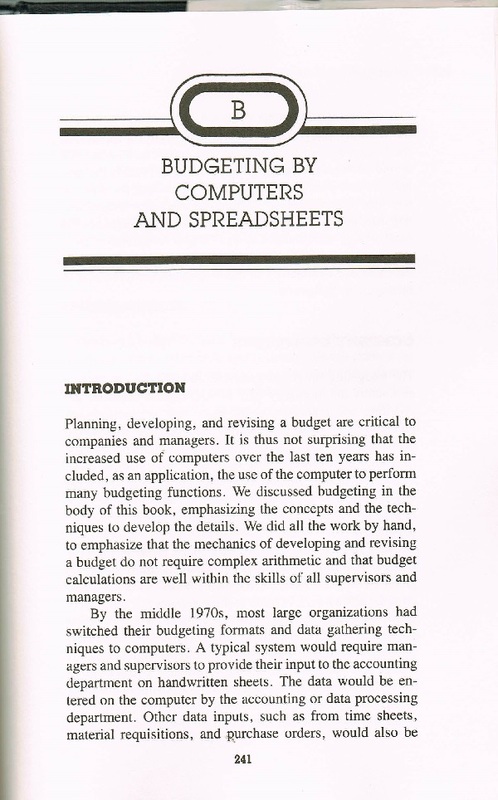 This book is dated, make sure you replace it. I find the cover very puzzling — that income level for 1985 would have been pretty high, but what’s with the almost $600K for rent of 12 square feet? 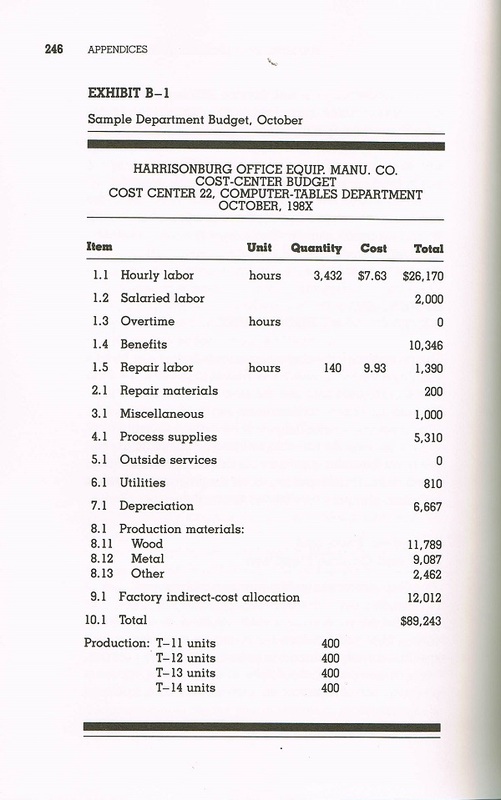 And $4900 for electricity? Are we looking at the equivalent of Venezuela?